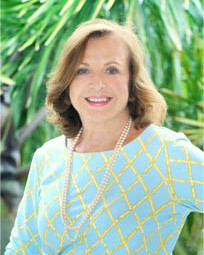 A native-born Floridian, she has a lifetime of knowledge of all of Florida’s coastlines and knows that Vero Beach is a true gem, so special that she moved here with her husband from South Florida to enjoy the wonderful Florida lifestyle that is also unique. · A sales professional with over 30 years of success in negotiation and presentation as a business owner in Miami and Ft. Lauderdale as well as in the television industry with NBC. · Made a rapid rise to a Top Producing Agent for market leader Dale Sorensen Real Estate and has been recognized for her sales and listing success on the Barrier Island. · Has become an expert in Vero Beach real estate specializing in oceanfront, riverfront, waterfront, golf club homes and condominiums on the Barrier Island and equestrian properties on the mainland. · Works closely and well with all real estate agents to deliver her clients their chosen selection in a new home or to draw the attention of all Realtors to the homes listed for sale on behalf of her selling customers. · Sincere and dedicated to serving her clients, both buyers and sellers, providing the service and attention they expect and should receive from a professional Realtor. · Active in the Community Committee and the Chairman's Club of the Vero Beach Museum of Art and the Friends Committee of The Riverside Theater. · Served on the boards of the Daughters of the American Revolution and the Indian River Literary Society and Seagrove Homeowners Association. · Avid genealogist. Member of the International Society of Genetic Genealogy. · Grier and her husband live on the Barrier Island with their third Giant Schnauzer, George, and their Blue and Gold Macaw, Paddy Macaw. · She enjoys golf when she finds the time. Grier is ready to share with you her love of Vero Beach and her expertise to help you sell or buy your Vero Beach Home on the Treasure Coast.